Provides a satin sheen, more intense, natural and durable. 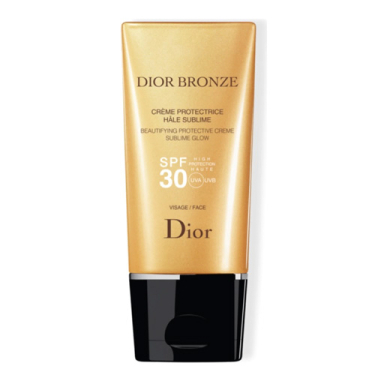 DESCRIPTION: Dior Bronze Crème Prot Hâle Sub Visage from Christian Dior is a cream for beauty and shine with protection. 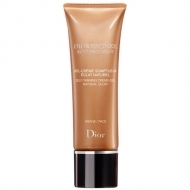 With a texture which melts in the skin, the cream has an imperceptible finishing, involving the skin with a satin sheen. 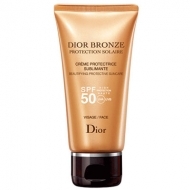 Designed for thin and fragile skin of the face, this product protects against free radicals and prevents the onset of photo-induced dark spots. 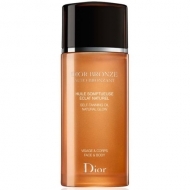 In addition, each application becomes a delicious and sensory adventure trip, thanks to its signature fragrance that evokes paradisiacal scents. Pulverizar generosamente no rosto antes da exposição solar e reaplicar com frequência, especialmente após contato com a água.